Is your hair looking a little dry or damaged? While professional salon hair treatments are extremely nourishing and rejuvenating for hair of all types, they can be expensive to receive often. Fortunately, you can create your own DIY hair masks using healthy ingredients you probably already have in your kitchen. Here are the top five DIY hair masks and treatments we’re confident you’ll love. Mix the vinegar and water together in a small bowl and set aside. Puree the egg, avocado, banana and oil in a food processor or blender until smooth. Massage the mask into your hair and scalp, then put a shower cap over your treated hair and leave it there for 20 minutes. Remove the shower cap and rinse your hair with cool or lukewarm water, then wash with shampoo and rinse. Pour water/vinegar mixture on your hair and gently rub it in with your fingertips. Wait about two minutes, then rinse the mixture out and condition your hair as usual. 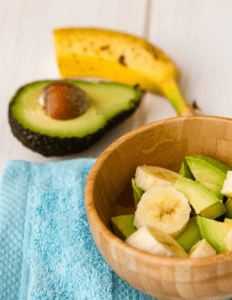 Avocados, bananas and eggs are well-known for their nourishing and hydrating effects on hair, but what about the apple cider vinegar? Science shows that apple cider vinegar has a pH level that is close to the pH level of human hair. It can help restore the hair and scalp to its natural acidity and reduce oiliness. Coconut oil is a natural ingredient that has been in the spotlight lately for its healthful benefits. Not only is it a nutritious dietary ingredient, but it can also protect and moisturize your hair. Here’s how to make a hair mask with coconut oil and honey. Combine the honey and coconut oil in a small sauce pan on the stovetop and heat it on low until it becomes smooth and mixes together easily. Allow the mixture to cool slightly, then apply it to wet or damp hair with your fingers, being careful to work it through your strands from the roots to the ends. Be sparing on the roots and generous at the ends of your hair where damage is most likely to occur. Leave the mask in your hair for up to 40 minutes, then wash it out with your usual shampoo and moisturize with your regular conditioner. 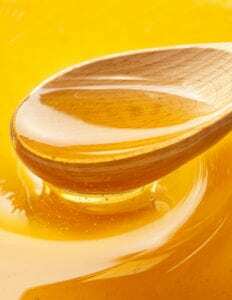 We recommend that you wear a towel around your neck and clothes to protect them from the coconut oil and honey mixture. You can also clip your hair up to keep it out of the way while you wait for the mask to work its magic. 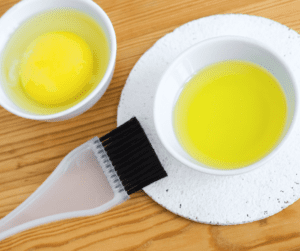 Olive Oil and Egg Hair treatments are packed with moisturizing and follicle-strengthening nutrients. Here’s how to make and apply your own. Mix the ingredients in a small bowl with a hand mixer until well blended. If the mixture needs thinning, add a little water to your preferred consistency. Apply the mixture to dry or damp hair with your fingers, making sure you cover your strands from root to tip. Place a shower cap over your hair and leave the mask in for anywhere between 15 and 45 minutes. Rinse the mask out with lukewarm or cool water, then shampoo and towel dry as usual. You can use a leave-in conditioner if you feel like your hair still requires a little extra moisture. This treatment allows you to mix and match ingredients as preferred. For example, you can switch out any of the ingredients with ½ ripe avocado or a few tablespoons of whole fat yogurt for similar end results. Combine ingredients in a small bowl using a fork or hand mixer. Focusing on the ends of your hair, use your fingers to work the mask into the strands, then work your way up to the roots. Leave the mask in for up to 20 minutes, then wash it out thoroughly with your favorite shampoo. 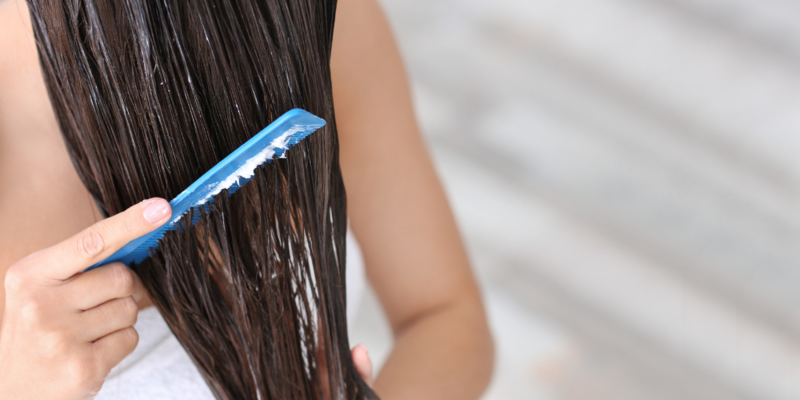 You shouldn’t feel the need to use conditioner, but if you do, only apply it to the very ends of your strands. This treatment can be used once per week to soften and shine your hair. If you have long hair, you may want to double the batch. You can also add a tablespoon of lemon to the mixture for a fragrant aroma and to stimulate hair growth. Just make sure to rinse it out thoroughly, as lemon can cause a bleaching effect when exposed to sunlight. Combine ingredients in a small cup or bowl until well incorporated. Part your hair into sections and use your fingers to gently rub the scrub into your scalp and through your hair. Rinse the scrub out, then follow your normal shampoo and conditioner routine. We recommend using this hair treatment once every two weeks or as needed to remove buildup and moisturize your hair. Passionate about hair care? Florida Academy has a variety of leading salon programs that can help you learn more about hair care and styling. To learn more, contact us through our online form.